Transfiguration is a very delicate branch of magic. It changes the form or appurtenance of an object by altering the object's molecular structure. The caster must take great care when attempting to cast these kinds of spells. 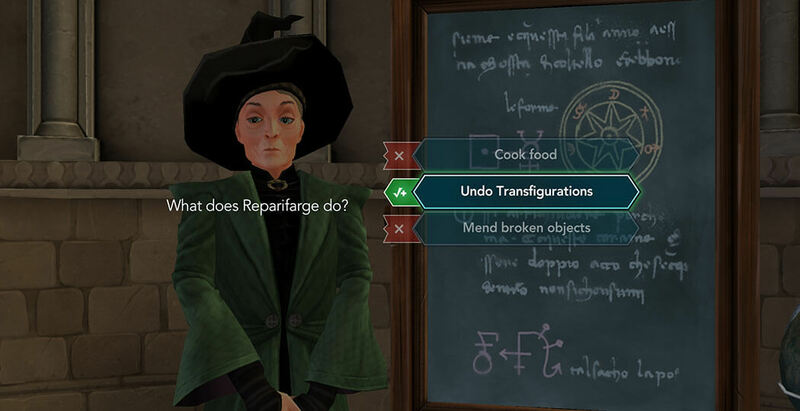 Reparifarge is an incantation a wizard or witch pronounces when they want to untransfigure something. Reparifarge has several uses. 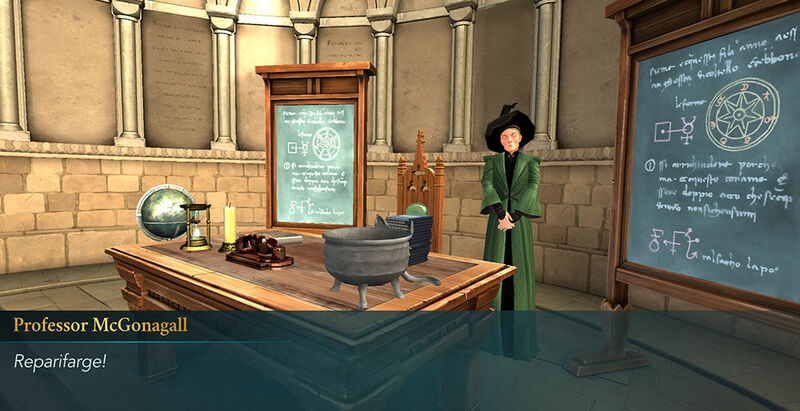 For instance, it can be used to undo a transfiguration spell that went south. Or it could be used to transfigure something with the goal of hiding it disguised as something else. 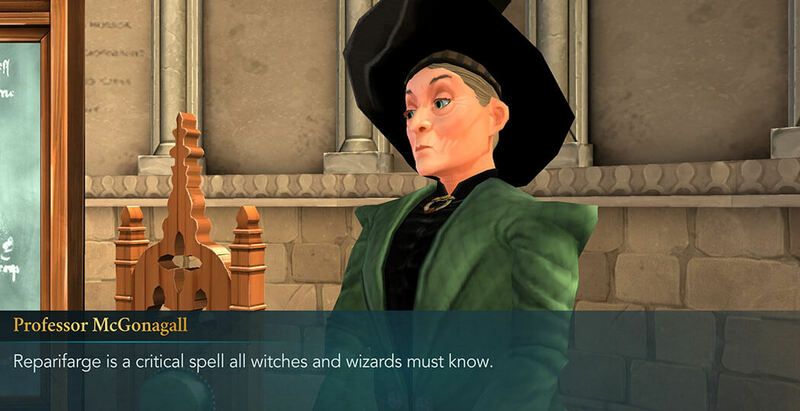 Even a skilled witch like Professor McGonagall highlights the importance of this spell. This means it has come across as very useful during her eventful life as a magic user. To cast Reparifarge, one must be completely focused. Clear your mind and imagine the spell taking effect. 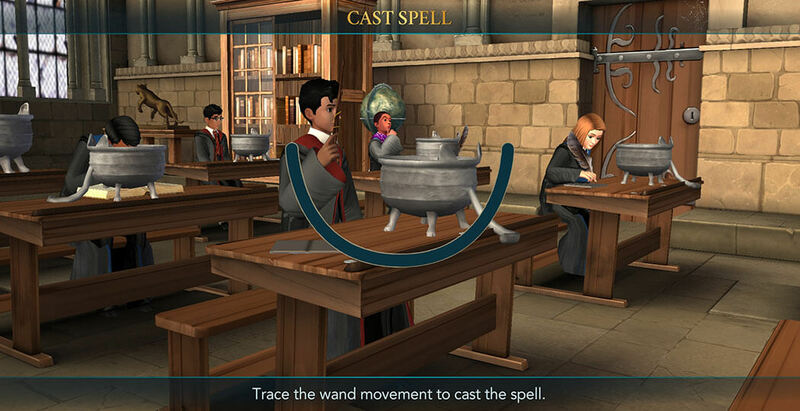 Go around the classroom and observe the professor at work, read from the black board and consult with your classmates. 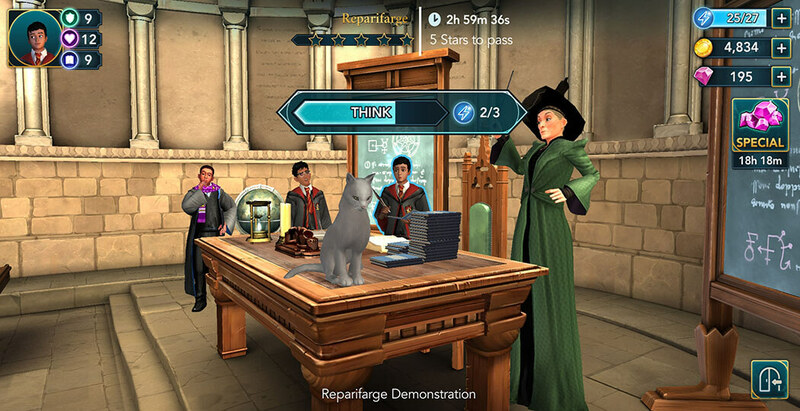 Professor McGonagall will also ask you questions throughout the class to check whether you are paying attention or not. 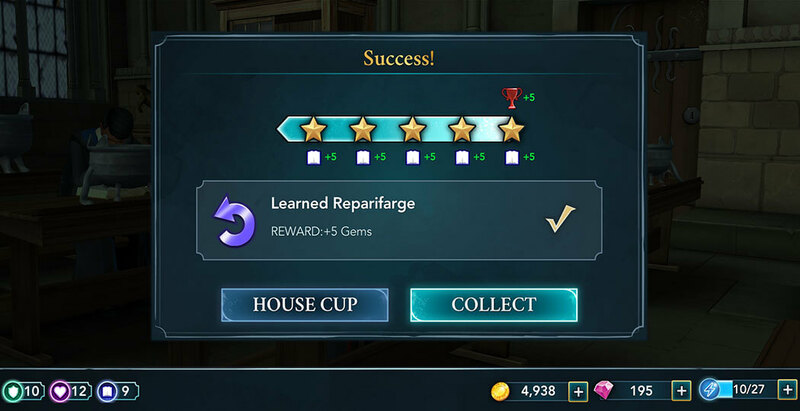 When you have studied enough, that is collected enough stars to fill the meter, you will be able to advance to the next step and be given the wand path for Reparifarge. You should be familiar with this part of your lesson by now. Just trace the path with your finger and there you have it! 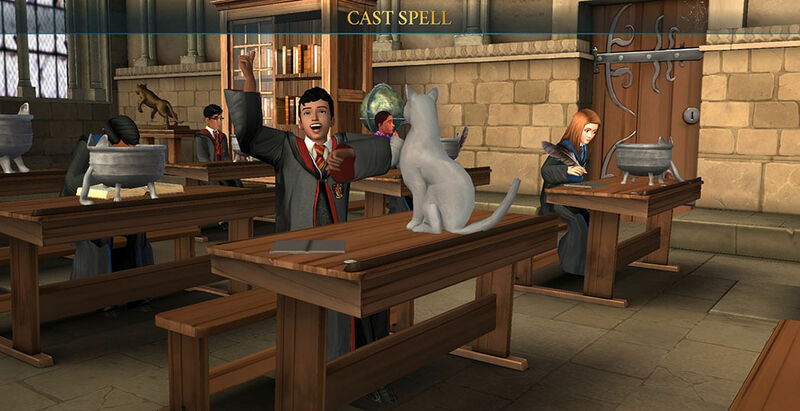 Now that you know the spell to reverse the effects of transfiguration, you can feel a bit more at east in your classes. If you mess anything up, you can easily undo it.